After two heavyweight dub excursions, firstly from Bunny Lee & The Agrovators and then from The Breadwinners, King Spinna’s third release is an all-singing affair. In fact it was suggested by Bunny Lee himself – “Why you don’t put out the vocals?” he asked on first hearing “Dub Will Change Your Mind” which featured all the B-side versions from this set. It turned out to be an excellent suggestion; Bunny worked with every Jamaican singer of note during the period from 1967 when he first made his debut as a producer through to the mid / late Seventies. 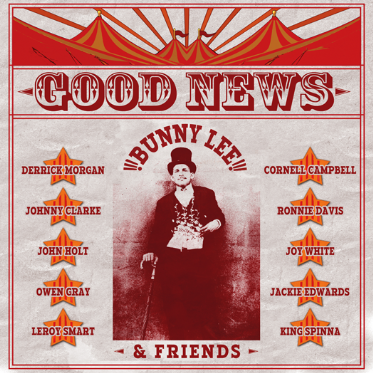 Indeed, the roll call of great singers Bunny has worked with who are not included on this compilation – the likes of Slim Smith, Alton Ellis, Delroy Wilson, Pat Kelly, Dennis Brown, Max Romeo, Ken Boothe, Horace Andy, Linval Thompson, Barry Brown etc. – is considerably longer than the list of artists included here. Nevertheless, this release features nine great singers ranging from veterans such as Owen Gray, Derrick Morgan and Jackie Edwards to vocalists who emerged later like Cornell Campbell, John Holt, Ronnie Davis, Leroy Smart, Joy White and Johnny Clarke. The tracks included on this set were originally released between the years 1975 to 1978 and range in subject matter from straightforward love songs to socially aware roots and reality themes with all the singers proving themselves equally adept at the different styles. The tracks are sequenced in exactly the same order as their dub versions on the CD issue of “Dub Will Change Your Mind”.